Automatic face recognition is technology that can quickly attach a name to a face by perusing large databases of face images and finding the closest match. (Phys.org) —In a study that evaluated some of the latest in automatic facial recognition technology, researchers at Michigan State University were able to quickly identify one of the Boston Marathon bombing suspects from law enforcement video, an experiment that demonstrated the value of such technology. In the Pattern Recognition and Image Processing laboratory, Anil Jain, MSU Distinguished Professor of computer science and engineering, and Josh Klontz, a research scientist, tested three different facial-recognition systems. By using actual law-enforcement video from the bombing, they found that one of the three systems could provide a "rank one" identification – a match – of suspect Dzokhar Tsarnaev. "The other suspect, Tamerlan Tsarnaev, the one ultimately killed in the shootout with police, could not be matched at a sufficiently high rank, partly because he was wearing sunglasses," Jain said. "The younger brother could be identified. 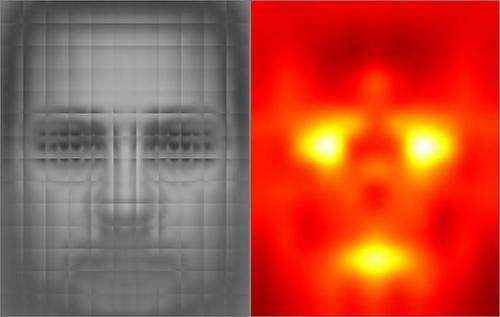 "This study was revealing in that facial recognition technology can successfully handle some cases in which facial images extracted from a video were captured under favorable conditions," he said. Under controlled conditions, when the face is angled toward the camera and if the lighting is good, this technology can be up to 99 percent accurate. Automatic face recognition can quickly attach a name to a face by searching a large database of face images and finding the closest match. This is what law enforcement agencies typically do for mug shot databases. It is unknown, Jain said, what automatic facial recognition technologies were used by investigators in Boston. Some algorithms are better suited than others for face recognition in uncontrolled video. While the technology has made great strides in recent years, it doesn't mean that improvements aren't needed. Also, more police agencies have to put the technology to use. "If you use an automatic system, it speeds up the process," Jain said. "Sometimes police get bad tips so innocent people are questioned. Such situations can be avoided with a robust and accurate face-recognition system." Jain and his team are internationally recognized in the field of identification technology. His team has developed methods to match forensic facial sketches with mug shots, as well as technology that allows police to identify criminal suspects by tattoo matching. Klontz and Jain's technical paper on evaluating automatic facial recognition technology can be viewed here.